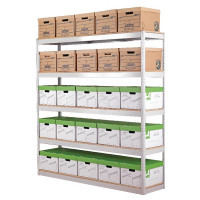 For the efficient and easy archival and storage of your items, use the Zamba Shelving. 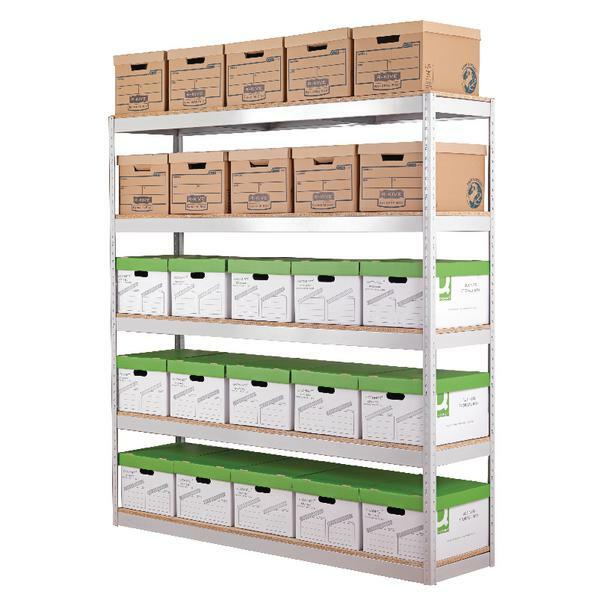 The Zamba Stock Archiving Shelving Unit utilises a boltless construction to ensure that it is easily assembled but is designed for excellent stability and strength. Each of the particle board shelves can be adjusted, meaning that you can customise them to your specific needs. This unit is wide enough to accommodate 25 standard archive boxes.